Samsung decided to officially announce the Samsung Galaxy S8 and S8+ putting an end to countless speculations and debates. I’m here to share with you all the details you need to know about the upcoming smartphone from Samsung and let me start by saying that we have all the reasons to be excited. Hopefully the Samsung Galaxy S8 won’t start exploding like the latest Note model, because it has some amazing features and surprises for us. Let’s start by checking out the features and specifications of the upcoming phone! Probably the most impressive thing about the Samsung Galaxy S8 (and the S8+) is the size/display combo. 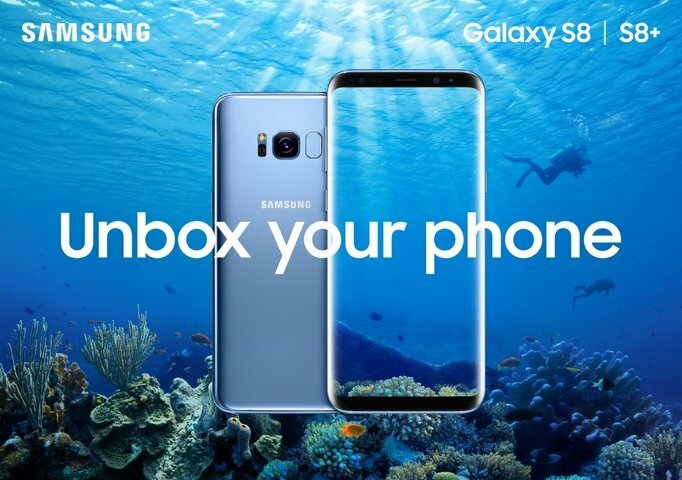 Few phones can beat it when it comes to sheer size, as the Galaxy S8 will deliver an impressive 5.8-inch display, while the S8+ breaks the boundaries with a 6.2-inch display. 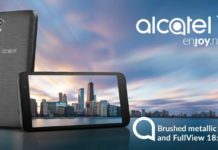 The “Infinity Display” offers an impressive WQHD+ resolution of 2960×1440 pixels on its Super AMOLED display and the screen itself takes up most of the space on the device. This means that Samsung uses, for the first time, a haptic home button in the pressure-sensitive bottom area of the screen. But, despite everything, I still hate the curved display of these phones. 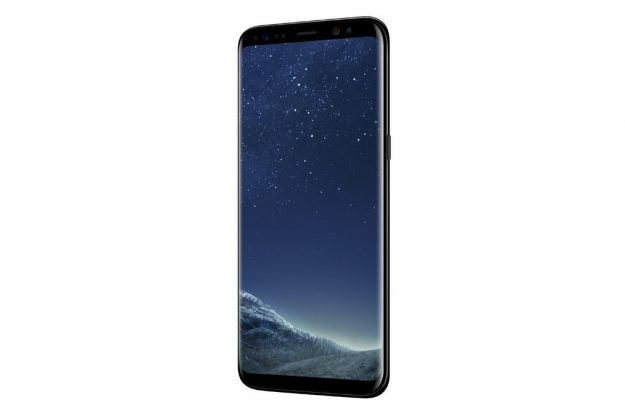 I might be the only one in the world and I can agree that everything looks and seems amazing about the Samsung Galaxy S8, but the curved screen has been keeping me away from getting a new Samsung phone – and will continue to do so – since it was first introduced. However, the upcoming smartphone from Samsung is more than a huge screen with perfect colors! In terms of hardware, the Galaxy S8 will be powered by a Snapdragon 835 processor (or equivalent Exynos in other regions), will have 4GB of RAM and 64GB of Storage. Fortunately, it also has a microSD slot that gives you the option to add up to 256GB of extra storage. It comes equipped with a 3,000 mAh battery but a better one would’ve certainly been welcome. The LG G4 has a similar battery, for example and is nowhere near as large as the Galaxy S8. 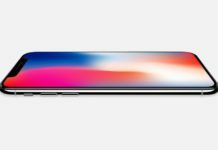 But Samsung certainly did their tests and probably optimized energy consumption and the smartphone will have a decent battery life in the end. 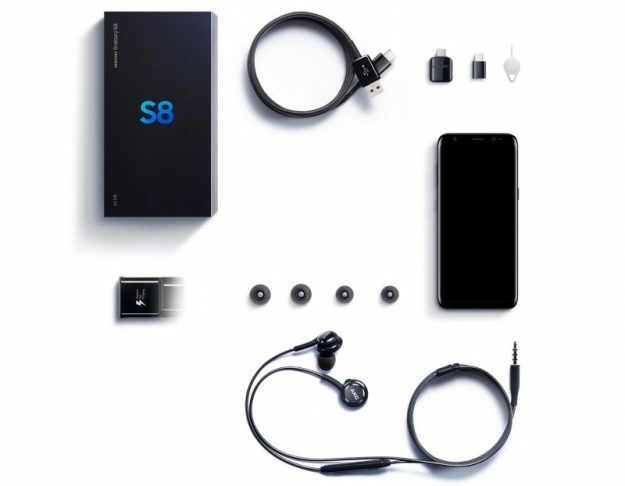 Since most people can’t even imagine a smartphone without a camera, Samsung decided to deliver some great news in the area. The upcoming phone will have a 12MP F1.7 OIS Rear Camera and also an 8 MP front-facing camera. The great thing about the selfie cam is that it has autofocus, which probably makes it one of the best selfie cameras out there. All in all, judging from initial tests, the quality of the photos taken with both the rear and the front-facing cam is flawless. There are other goodies as well: security will be enhanced by the Iris scanner (which Samsung claims to be even safer than the fingerprint scanner), the phone will run on Android 7.0, it will have dual Bluetooth audio, USB-C port with fast charging and a headphone jack, despite the rumors claiming that Samsung will follow Apple in removing the headphone jack. I’m sure I’m not the only one who’s really happy they didn’t. Finally, Bixby – Samsung’s own personal assistant – will make its debut on the new devices. 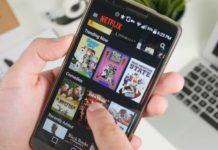 It offers a series of interesting features, one of them being the ability to control your phone by using voice commands only. This works with just a handful of apps at the moment, but will change in the future. All in all, the Samsung Galaxy S8 is slim, light and beautiful. It has great specifications and is clearly one of the best phones you will be able to buy when it launches on April 21st. The price for the Samsung Galaxy S8 is expected to start at $720. But there’s even more about it! 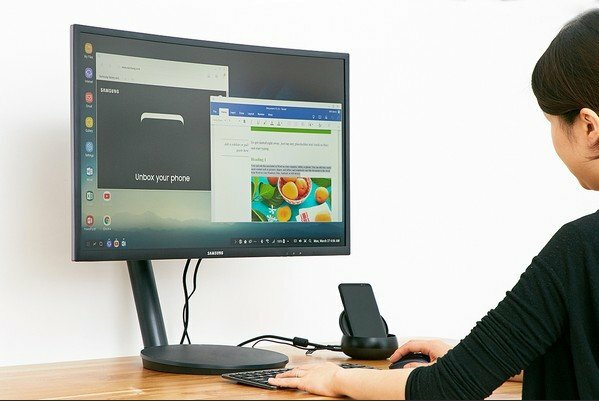 One extremely interesting gadget that you can purchase separately is called the Samsung DeX dock. This allows to simply insert your phone into the dock, connect it to a TV, keyboard and mouse and get your very own computer anywhere in the world. 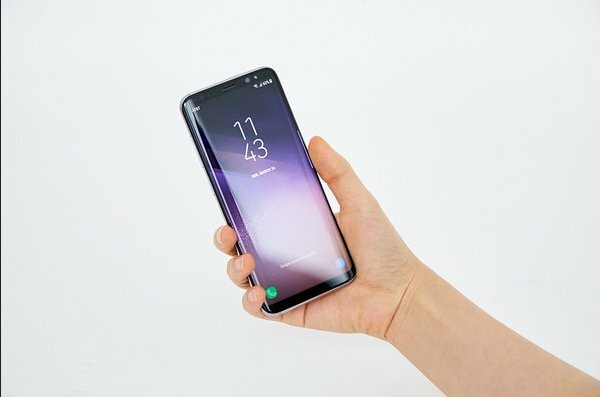 It’s an interesting feature that seems to have its flaws (the main one being that you need a TV, keyboard and mouse to make it work) but probably sometime in the future we’ll be able to replace the clunky desktop PCs with ultra-portable phones that will be able to handle everything. Until then, we have the ambitious Samsung DeX to make the transition.